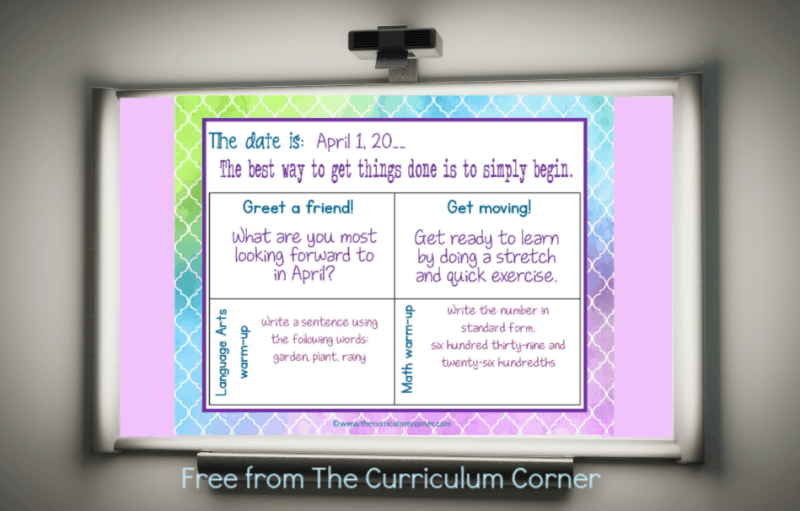 This set of free and editable Intermediate April Daily Welcome Messages is an easy way to get your students to enter the classroom and focus on the day ahead. 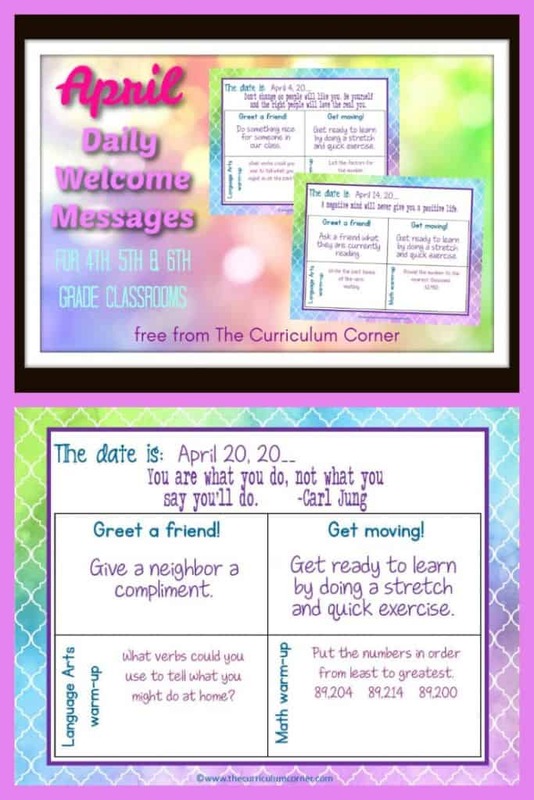 Start your day with these ready to go Intermediate April Daily Welcome Messages! These are geared towards 4th, 5th and 6th grade classrooms. This is the third in the series. We will begin creating a set for each month. 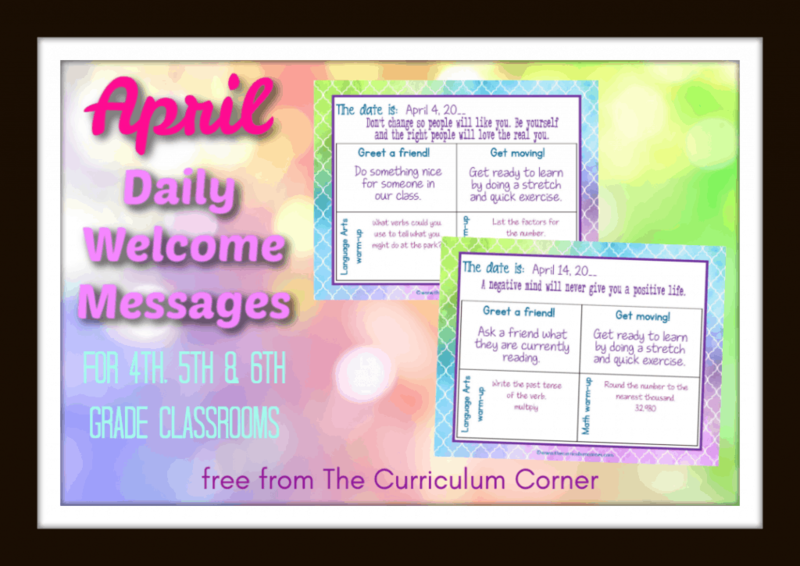 When we created this set of Intermediate April Daily Welcome Messages, we had a few goals in mind.